The Site: Land opposite The Green, Common House Road, Plaistow has been proposed for allocation in the Plaistow & Ifold Parish Neighbourhood Plan. At a meeting of the full Parish Council on 17th January 2017 the site was endorsed as a reserve site, required in the event that other proposed development sites were discounted from being taken forward. Please Note: This site is not within the Plaistow Conservation Area. The site is opposite the Recreation Ground and on the corner of Common House Road with The Street. In a Site Options and Assessment conducted by AECOM (on behalf of Locality – a programme partner of the Department of Communities and Local Government – DCLG) the next best performing of the sites in Plaistow, after Todhurst (now discounted), when taking all relevant criteria into account, was ‘Land Adjacent to The Dairy’ which was subsequently brought forward for incorporation into the Neighbourhood Plan by the Parish. However, after further investigations, evidence demonstrated that the impact of providing an access to The Dairy site would result in potential harm to significant trees. 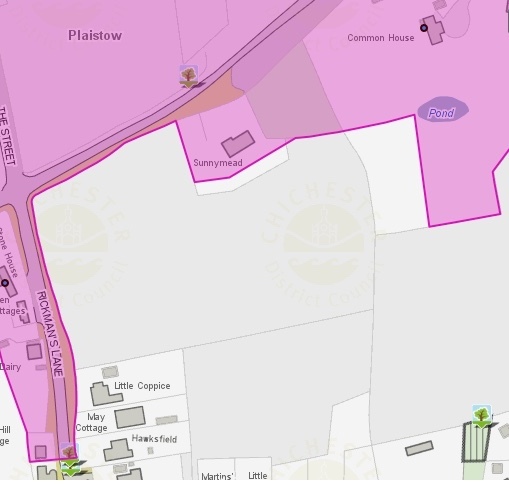 Technically access could be created but would have to be a low impact, no dig which is not deemed suitable to service a development of 11 houses requiring a road constructed to Highways adoption standards. 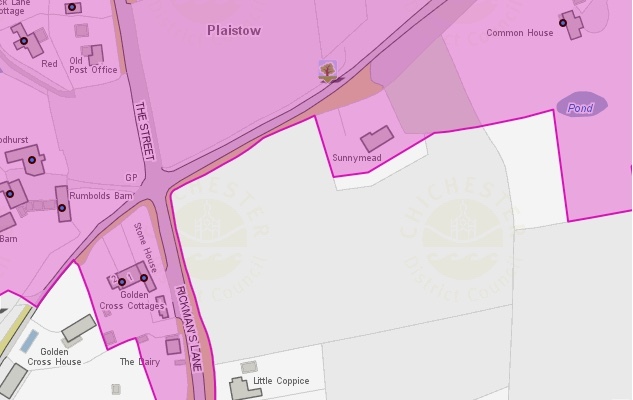 The landowners of The Dairy site advised of a potential alternative access further South, but the land over which they have private access rights (for field maintenance) is not in their ownership and is also a Public Right of Way. It was confirmed that the land needed for access is owned by the National Trust. 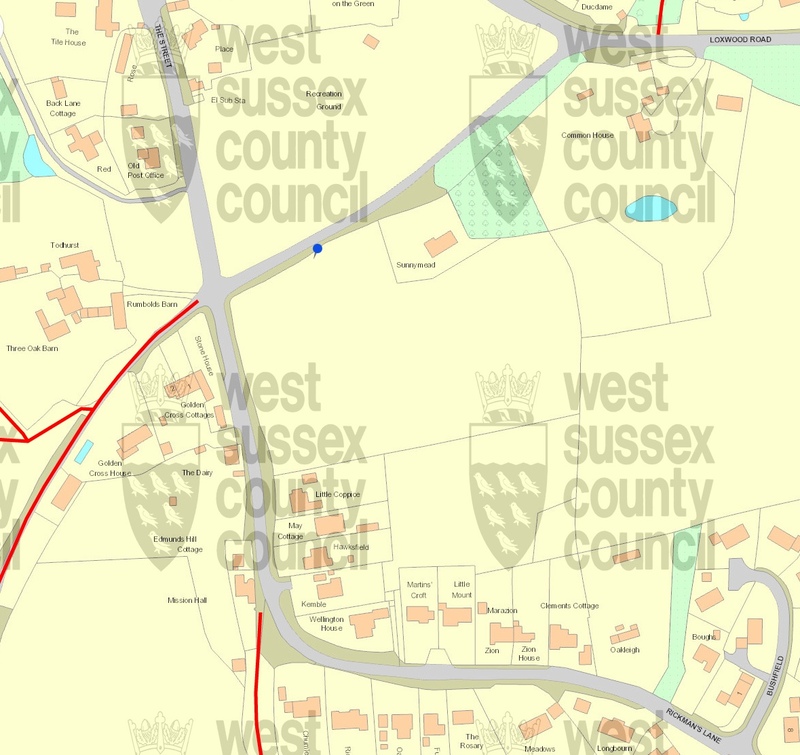 This therefore became an issue of whether development of the site was achievable as The Dairy site landowners must obtain agreement from and then negotiate with the National Trust for access over that land and in a timely manner to permit the Parish to deliver on its housing allocation according to Chichester District Council’s Local Plan, their Site Allocations DPD and to meet their five-year housing supply. Consequently, there were doubts over the deliverability and achievability of The Dairy site. 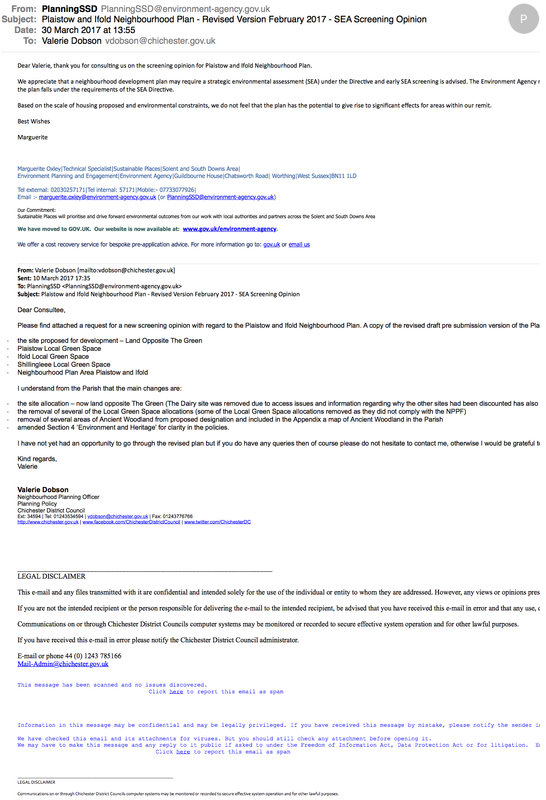 Therefore with reference to the NPPF paragraphs 021 and 022, and the Parish Council’s decision, the site: Land adjacent to The Dairy was discounted and the reserve site: Land opposite The Green, Common House Road, Plaistow has now been proposed for allocation in the Plaistow & Ifold Parish Neighbourhood Plan. 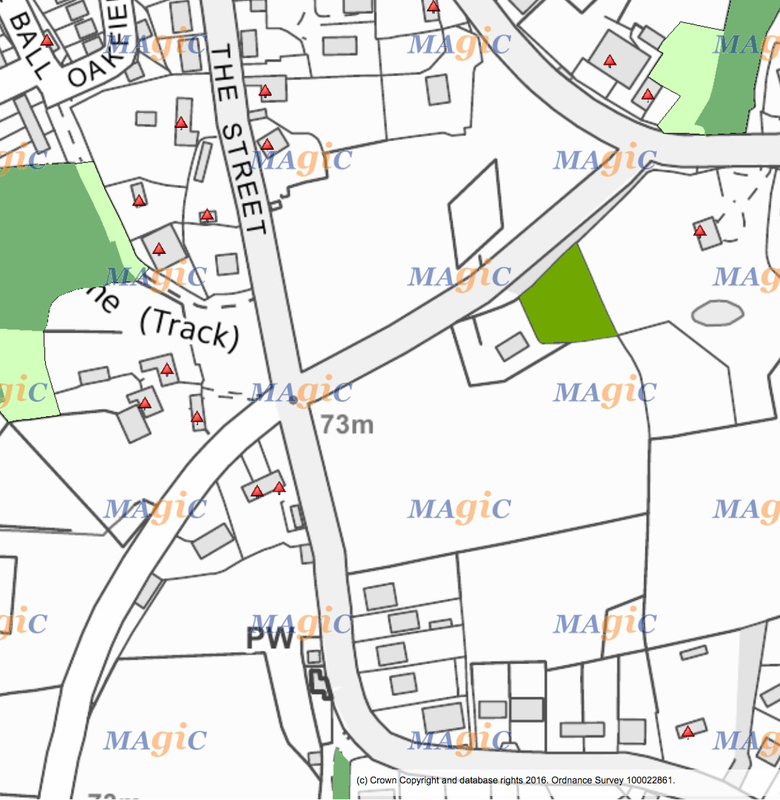 This site is still higher up in meeting most NPPF sustainability criteria than others that have been identified, including the site noted in the CDC Site Allocations Development Plan Document (SA DPD): Land to the North of Little Springfield Farm, Plaistow Road, Ifold. The site benefits from being within metres and very close walking distance to the village facilities and amenities which include: a Church, primary school, store with coffee shop, pub, village hall (Winterton Hall – with a Youth Club, a pre-school that has a dedicated outdoor playground, weekly post office services dispensed in the Youth Club – to the rear of the hall and an outdoor multi-use games area); a village green; a recreation ground with a pavilion (formerly a cricket club) and an outdoor childrens’ playground; and a football club with pavilion. Todhurst (Grade II) set back from The Street, behind a National Trust owned meadow. Todhurst (Grade II) set back from The Street, behind a National Trust owned meadow in summer. Looking down The Street. The site to the left and Stone House to the right. Street. The site to the left and Stone House to the right. The site on the right next to the 30MPH sign. Looking up The Street towards the village Green. The driveway entry on the bottom right is to the BT hut.